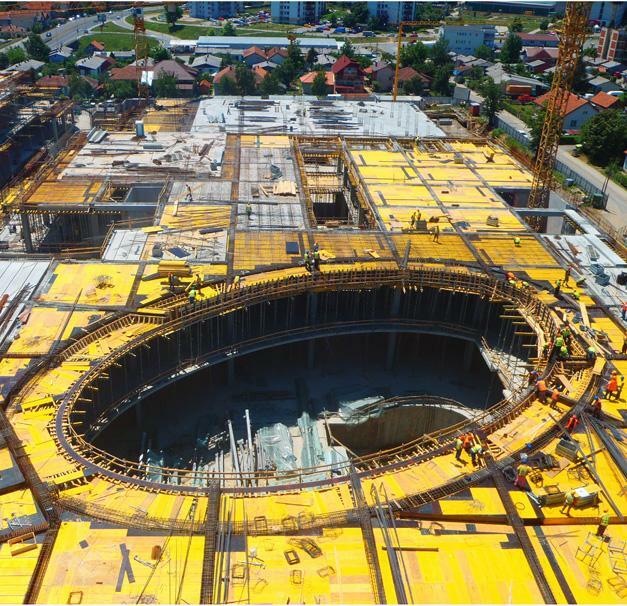 The total area of the shopping mall Plaza, including two levels and underground garage, is 50,000 m2. 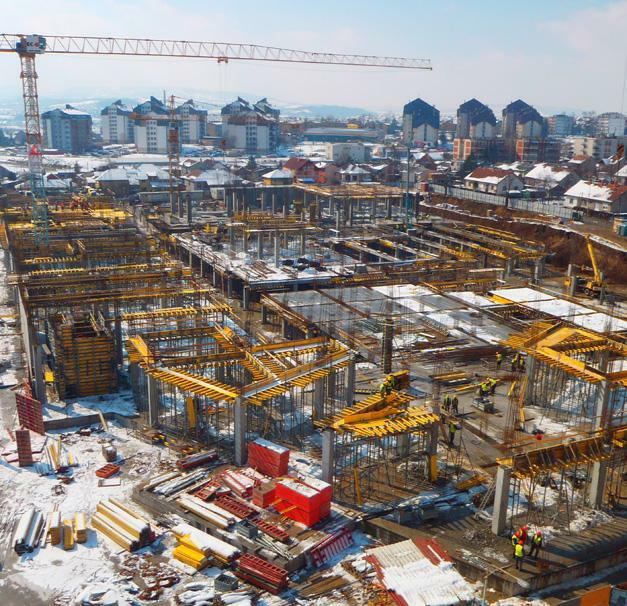 During the construction of this facility, 25,000 cubic meters of concrete was used, 3,100 tons of reinforcement structure and 450 tons of steel construction were used. 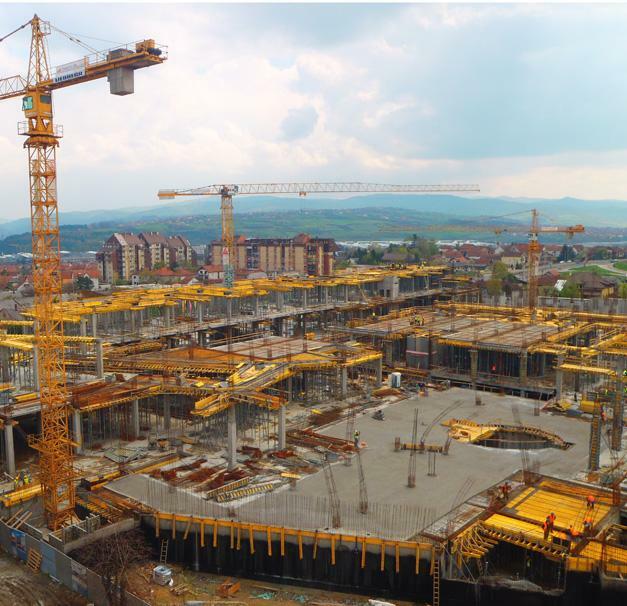 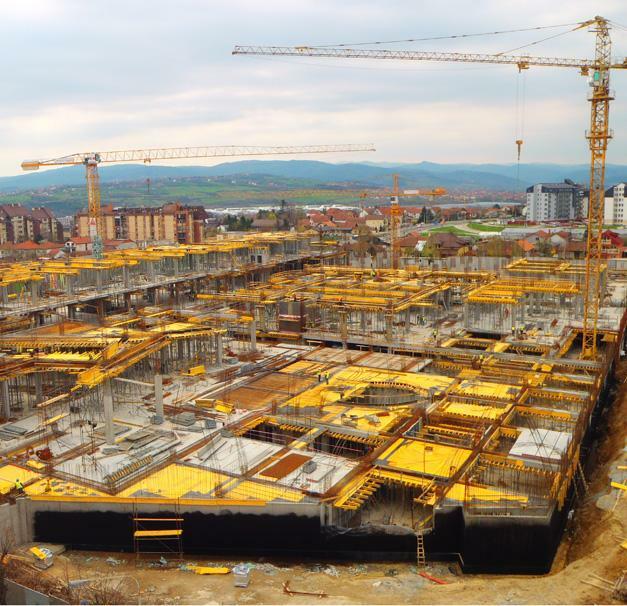 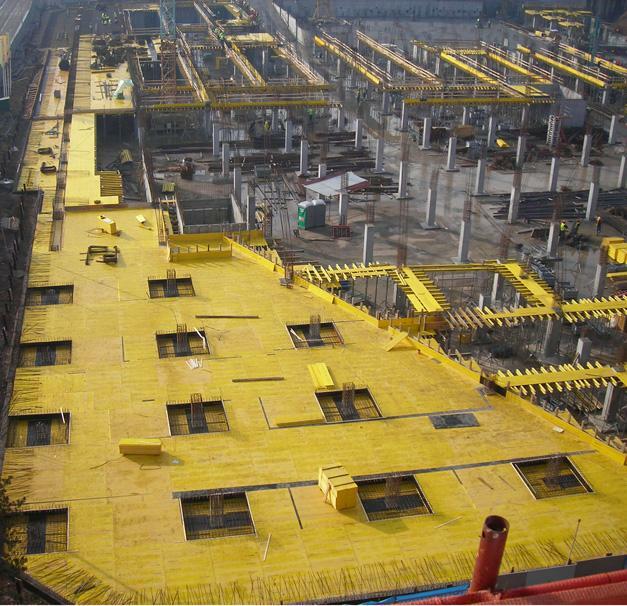 All complex requests were successfully solved with Doka formwork. 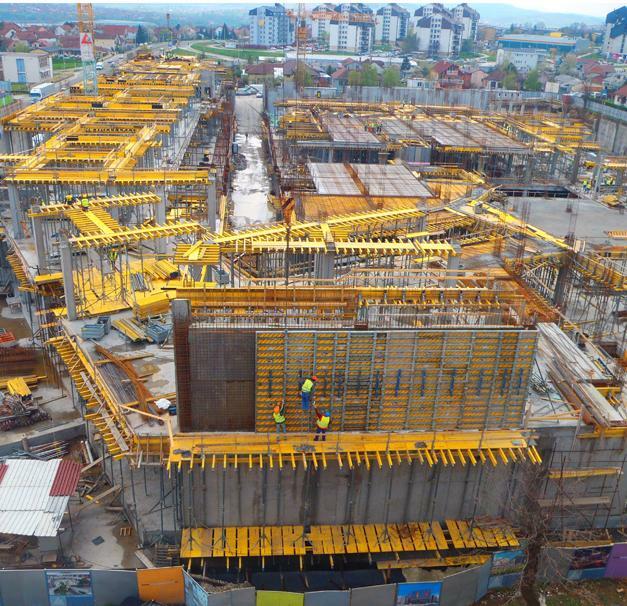 On this project, 7,000 m2 Dokaflex was used for the floor-slabs and around 1,000 m2 of Framax Xlife framed formwork was used for the walls, with all accompanying elements. 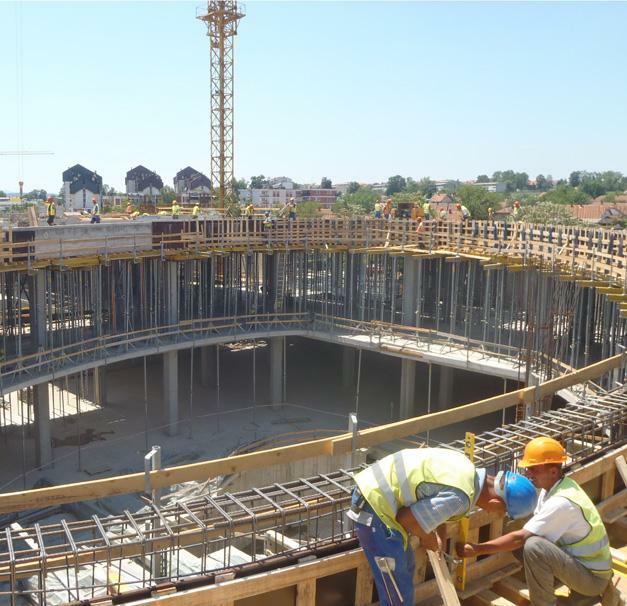 Thank you for your interest - Kragujevac plaza. 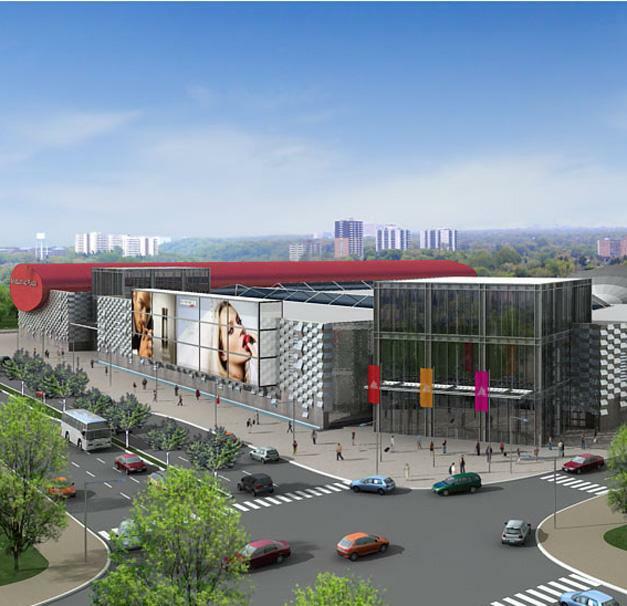 Thank you very much for your interest - Kragujevac plaza.